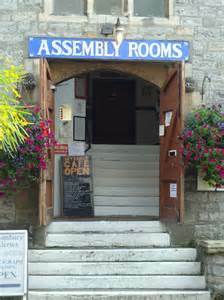 Soon after becoming a voluntary worker in the Assembly Rooms (on the High Street), I answered the phone to someone from Glastonbury Men’s Group. The caller wanted to make an appointment to discuss support services for their intended hire of one of the smaller rooms downstairs. Glastonbury Men’s Group. I pondered on this afterwards, having previously heard mention of groupings connected to someone called ‘Iron John’, though I’d only a rusty idea of what he was all about. And I’d also heard talk of “the New Man” and so wondered if it was him that I’d been speaking to. A circus act?, I mused, but he quickly pressed on. “Sounds fun”, I said. Fun if you’re a nutter. “What happens next?”, I inquired brightly. He paused for effect (though what effect I’m not sure), then continued his exposition. “I see”, I said non-committally, thinking it the wisest course of non-action at this delicate stage in proceedings. He cleared his throat, perhaps to dislodge any mud-shot bits of sweat-ridden, smoke-cured and frozen debris. “Then the week after that the group will meet to discuss at great length the sweat lodge and certain people who abuse the men’s group by turning up for sweats but not meetings and who can tell everyone else – from previous experience in America with REAL American Indians – how to build the fire, build the lodge, where to collect wood and so on. This was all very well, I thought, people can do what they like – it’s a free country, apart from Kent. But, since the nights were starting to draw in, did they now intend to hold this sweat lodge downstairs in the Assembly Rooms? In my grockless state, I assumed so. I wondered vaguely if such a booking needed to be cleared with the rest of the management group. But no, this seemed like a routine that had been going on for ages. There was, of course, the question of clearing up afterwards, all that sweaty mud and so on, but I imagined they’d bring a plastic sheet or something with them. Even so, they would definitely have to leave a hefty deposit against damage to the carpets. I’d insist on that. With a sigh, I pulled out the Bookings Diary, the one that said on the front cover, “Rollo, don’t write anything in this book”. I turned to the date of the next full moon and examined the list of available rooms. “As long as it’s just a small fire”, I said, “with not too much smoke”. The New Man stared at me in amazement ….